Whereof we cannot speak, thereof we must sing. Or dance. Writing about the Belgian jazz scene is a perilous undertaking. Not that there is nothing to say, but because the jazz writer easily lapses into clichés and generalisations, and the broader the subject, the greater the risk of that happening. But nor do we want to pass up the opportunity to dwell for a moment on jazz from Belgium. The country has produced several renowned musicians and can currently boast one of the most exciting and vibrant music scenes in the world. Of course, the jazz we are talking about is linked to a distinct history and a specific context. It may sound obvious, but geographical location often influences the type of art that a region produces. In Dutch jazz, for instance, the English-speaking sphere of influence is prevalent, while in Belgium much less so. Belgian jazz shares a closer affinity with jazz from the Southern European countries, while that influence, in turn, is virtually negligible on its Dutch counterpart. To take another example: Belgium boasts a handful of relatively small-scale cities with immensely rich histories. Places such as Bruges and Ghent are manageable in the sense that you can easily congregate there, but they are certainly not villages. This is an important factor. Belgian poet Peter Verhelst once noted, for instance, that Bruges residents are anything but blasé. Toots, like the other masters of Belgian jazz who followed immediately after, demonstrated that the world is larger than the place you come from. The same holds true for the residents of Ghent, where an open attitude prevails, one that embraces rather than excludes. Both musicians and the public know that they must journey around this small country. Physically but also, in a sense, mentally. Any form of parochial provincialism is out of the question, which translates into an outward-looking perspective and a desire to establish new connections. There are countless examples. The mines in Wallonia and the province of Limburg drew numerous foreign labourers to Belgium. Although the pits have long since closed, the people remain. Many different cultures have likewise nourished the Belgian jazz scene. And let’s not forget Brussels, because the capital is an even greater melting pot. 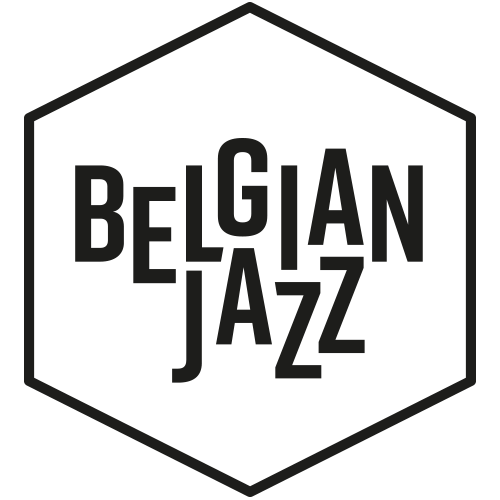 Simply cast your eyes over this list of Belgian jazz musicians and consider their names: Christian Mendoza, Sal la Rocca, Melanie de Biasio, Manolo Cabras, Bruno Vansina, Giovanni Barcella, Pierre Vaiana and Cezariusz Gadzina. You can hear that very diverse influences have permeated Belgian jazz. These range from Southern European folk music to African music, both of which are linked to the different populations that can be found in the country. But there are many others, simply because the doors to the wider world have always stood open. Of all the terms used to describe the Belgian context – ‘open’ and ‘melting pot’ being two of the most common – ‘cross-border’ can also be added to the list. That the country has produced so much exciting jazz and other related music is down to the exploratory, free-thinking and flexible attitude of the current generation of Belgian jazz musicians. It’s an inherited outlook. A number of leading Belgian jazz musicians paved the way, both literally and figuratively, for the younger generations. In so doing, they helped foster a favourable jazz climate in Belgium, and one that is not confined to a single location. The most famous of these musicians seemed to have the gift of eternal life, but harmonica player and guitarist Jean ‘Toots’ Thielemans passed away in 2016. Coming from the popular Brussels area of the Marolles, Thielemans knew early on that second chances are hard to come by and that you must strike while the iron is hot. Toots would not allow his fragile health or the opinion of critics to hold him back. He made bold decisions and accepted the consequences. Blessed with both charm and an innate talent, Thielemans made himself heard in a range of contexts: he not only played countless jazz styles, but also explored pop, film and Brazilian music. From Jaco Pastorius, Pat Metheny and Oscar Peterson to Quincy Jones, Julian Lennon and Billy Joel – Toots worked with many of the world’s greatest musicians and jazz players. His commercial insight has perhaps not automatically drifted down to the younger generation, but Toots, like the other masters of Belgian jazz who followed immediately after, demonstrated that the world is larger than the place you come from, and that music is open to influences from all corners of the globe, not to mention every conceivable style and genre. The bravado of the young generation is particularly exciting to witness, as is the apparent ease with which they jettison their earlier discoveries to produce a completely different sound on their next album. Unfortunately, two other formidable talents had much shorter lifespans. Guitarist René Thomas and saxophonist/flautist Bobby Jaspar only lived to the ages of forty-seven and thirty-seven, respectively. During their short careers, they played with some of the greatest names in the business and left behind discographies that are cherished by many jazz lovers, while also being deserving of a much wider audience. To their eternal credit, the duo showed that you can indeed be accepted by jazz greats from the country where the genre has its roots. They proved that dreams can become reality with persistence and perseverance – even though, as was the case with Thomas and Jaspar, there was a high price to pay. Fortunately, two other leading musicians are still with us. Guitarist Philip Catherine’s outstanding reputation rests upon his exceptionally warm sound and meticulous style. Over the course of his long career, which began in the early 1960s alongside the influential band leader and saxophonist Jack Sels, Catherine has collaborated with a wide range of international musicians from diverse musical backgrounds. Collaboration has also always been a motto for pianist Fred van Hove. In the 1960s, when several European countries began formulating an answer to American jazz, Van Hove was the most prominent Belgian representative of an emerging style. With musicians such as Dutch drummer Han Bennink and German reed player Peter Brötzmann, he has developed a fierce and determined oeuvre. To name but one milestone, Van Hove played on Brötzmann’s pioneering album Machine Gun, which celebrates its 50th anniversary this year. The most famous musician of the current generation is pianist Jef Neve. He knows how to reach and move a broad audience with his delicately tended and sumptuous style. Neve also seems to hate parochialism. He has written wonderful music for larger ensembles with instruments that are less common to jazz (the horn, for instance). Nor is he averse to collaborations, having already worked with the pop singer Gabriel Rios and the rapper Typhoon. A scene is often defined to an important degree by what it leaves out. It also refuses to be pigeonholed. The Belgian jazz world is known for its maverick character. There doesn’t seem to be a fixed core against which the others react. Musicians follow their own desires and longings. An essential characteristic can immediately be added to this statement: the eagerness to collaborate. No matter how obstinate the musicians may be, they are generally not inflexible. They are ready to place themselves in situations of uncertainty and be receptive to external influences. For the current generation, jazz is more a state of mind than a set of formal rules. Collaborations are occurring across all genres in the contemporary Belgian jazz world. A beacon for twenty-five years, and yet still relevant today, is AKA Moon. Other noteworthy bands include Nordmann and TaxiWars, two groups that are forging a new path by mixing jazz with rock and/or spoken word. To the glossary of Belgian jazz that is gradually emerging in this essay, one can also add the word ‘active’. The young key figures in the current scene assert themselves in many and often very diverse projects. They are representatives of an inclusive worldview. There is hardly anything you can imagine than has not found its way into Belgian jazz. Musicians publicly declare their love of old soul, funk and disco, or obscure film scores and Krautrock, of music from India and Ethiopia. One only has to think of STUFF., Black Flower, Ragini Trio (both featuring Nathan Daems) and Stadt. Not wanting to limit themselves to a single format, but constantly switching between large and small bands, is another trait shared by many Belgian jazz musicians. It is beyond extraordinary that they choose to collaborate with dancers, theatre-makers, writers, artists and even shadow puppet performers. Examples include Bruno Vansina’s Orchestra Exotica, bassist Peter Jacquemyn’s various projects at the intersection of music and visual art, the theatrical collaborations between pianists Fulco Ottervanger and An Pierlé, and last but not least, pianist Kris Defoort’s work for the stage. It is because musicians don’t stay rooted to the spot, and dare to move, that such an incredibly vital jazz world has taken root in Belgium. The bravado of the young generation is particularly exciting to witness, as is the apparent ease with which they jettison their earlier discoveries to produce a completely different sound on their next album. It is a much-underrated skill. Young musicians are not allowed to remain invisible for long, so continuing to experiment shows even greater courage. Of particular note are the ever-surprising trio De Beren Gieren, the projects associated with the drummer Lander Gyselinck and those by pianist Bram de Looze, as well as the various collaborations that guitarist Ruben Machtelinckx and reed player Thomas Jillings take part in under the name Linus. And another reed player, Joachim Badenhorst, who works in both intimate line-ups and larger ensembles, always sounds highly poetic and inventive. He is only ever his own man. To conclude, I would like to mention two things that, while seemingly trivial, often have a profound influence on a music scene. And one should note that both are absent from Belgium. Firstly: the dress code. Fortunately, jazz musicians in Belgium don’t tend to look like waiters or shop assistants. In both music and dress, they follow their hearts. Nothing in their external appearance will distract from the essence of their work. Secondly: the egos. The Belgian jazz scene is refreshing in that it appears, or at least to an outsider, to be relatively free of egos. It’s not about names, but about the music. Perhaps it says more about me, a writer from Holland, that I should even think to mention this? For what is it all about, if not the music? With my outsider’s perspective, I hope to have awoken your interest in the contemporary Belgian jazz scene. Some thirty Belgian jazz musicians and bands are waiting to be discovered in this series of short dossiers. And the gluttons among you will be pleased to know that this is just the tip of the iceberg. Mischa Andriessen (1970, The Netherlands) was initiated as a poet with the collection of poems Uitzien met D (2008), which earned him the C. Buddingh award. In 2012 Huisverraad was published, awarded with the J.C. Bloem Poetry prize and the Charlotte Koehler stipendium, to be followed by the collection Dwalmgasten (2016). Andriessen writes about jazz for among other Jazzmozaïek, Trouw, Jazzism and the PZC, and about visual arts for a.o. the Financieele Dagblad. Currently he is working on a novel Rasphuis.